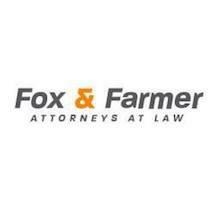 If you have suffered a serious personal injury or are no longer able to work because of an injury or disability, Fox & Farmer Attorneys at Law in Knoxville is there for you. Our lawyers have been helping people throughout East Tennessee since 1987. We are a family firm. Steve Fox and Bradley Farmer are the second generation of attorneys from each of their families dedicated to helping people who are facing challenging times after injuries or disabling conditions have changed their lives. As a family firm, we believe that treating our clients right is as important a part of our job as delivering positive results. Motor vehicle accidents — Auto accidents are one of the most common causes of major injuries. After being injured in a motor vehicle accident, you deserve to have someone working to ensure your needs are met. Personal injury — From accidents on other's property to injuries caused by defective medical devices, our firm is here to help. Social Security Disability — When you can no longer work, Social Security Disability benefits can make all the difference. Wrongful death — Let us help you secure accountability for the loss you have suffered. Workers' compensation — Injured workers are often treated unfairly. Let us fight to ensure you receive all of the benefits to which you are entitled. After suffering a personal injury in an accident or on the job or no longer being able to work, turn to Fox & Farmer Attorneys at Law for help that can get you through the tough times. To schedule a free initial consultation, call 423-415-1920.